Interview Series: Dr. Yaakov Cohen, Diplomat: Religious or economic anti-Semitism has never existed in South Korea. Many Koreans read the Bible and identify themselves with the link between the Jewish people and the Land of the Bible. There has been a huge improvement in bilateral relations between South Korea and Israel during the last 19 years. South Korean structural reforms following its economic and financial crisis of 1997-1998 and the priority it gave to high tech and information technology have greatly contributed to this expansion. 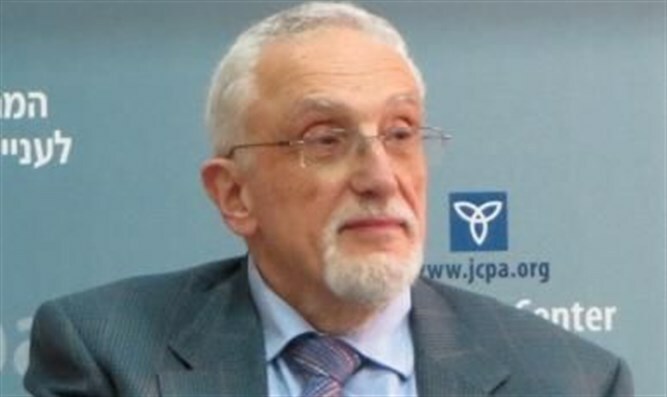 Dr. Yaacov Cohen has held many diplomatic postings. These include: Israel’s ambassador to Spain (1992-1995), to Japan and South Korea (1985-1988) and to Venezuela from 1981-1985. In Jerusalem, he was Deputy Director General (Economy) of the Foreign Ministry from 1988-1992. Since 1995, Dr. Cohen has been Senior Lecturer in East Asian Studies at the Hebrew University. He was recently awarded the Order of Civil Merit by the Republic of Korea. Cohen remarks: “Little is known in Israel about this remarkable development of relations with South Korea. The two economies are largely complementary. Israel has become the leading market for Korean exports to the Middle East. A growing number of conglomerates, known as Chaebols, have a presence in Israel. There is also an increase in the number of Israeli firms in Korea which are represented either by Israelis or by locals. “The turbulence in world markets since 2008 has shown the importance of East Asian markets for Israel’s economy and trade. We estimate that bilateral trade (without diamonds) – the combination of exports and imports – between Korea and Israel reached 2.5 billion dollars in 2011. About three quarters of this is Israeli imports from Korea. We expect our exports to East Asian markets to exceed 25% of all Israeli exports in the coming years. This percentage will grow further even if our main markets remain in Europe and the United States. “The Koreans had hoped that Israel would place a big order for their training planes. Early this year, Israel however, chose Italian planes instead, which caused some disappointment in South Korea. “Research findings show that only 1 out of 25 trade negotiations between Western firms – including Israeli ones – and their partners in East Asia are successful. The huge percentage of failure is partly due to cultural differences. Israeli negotiators with potential Korean or other Eastern Asian partners do not always realize that when they discuss a contract with a partner, they also negotiate a potential long term relationship. Little is known in Israel about this remarkable development of relations with South Korea. The two economies are largely complementary. Cohen continues: “One important step has been the mutual abolishment of visa requirements. There are, since 2008 regular direct flights between Tel-Aviv and Seoul. Every year 50,000 Korean tourists visit Israel. There are 200 Korean students at the Hebrew University in Jerusalem. “The Hebrew University is the only university in the Middle East that maintains a significant Korean Studies program. It comprises studies of Korean language, history, religion, culture and art, society, economy, political system and international relations. In order to overcome the culture barrier, we include practical components in Korean economy studies program, about issues such as negotiation styles. “This good relationship also extends into several other fields. Via KORIL (The Korea – Israel research and Development fund) there is significant cooperation in research and development fields. Every year a number of joint projects are approved.